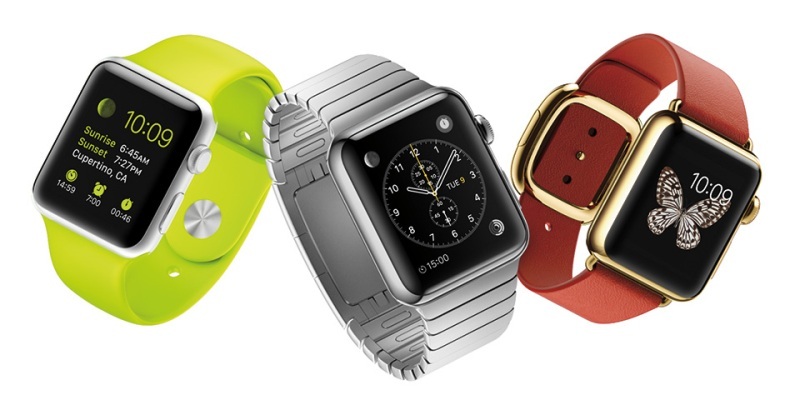 It’s time: Apple Watch release date and price announced! Announced at the iPhone 6 launch event way back in September, the Apple Watch has remained something of a mystery. We didn’t know when it was coming out, how much it would cost or even what it was really for – until now. Apple chief Tim Cook unveiled details about Apple’s newest gadget at a press event in San Francisco, including pricing details and that all important release date. Here’s everything you need to know. The Apple Watch will be released on 24 April, although you’ll be able to preorder it from 10 April. It’s a Friday, so remember to book it off work if you’re planning to camp outside the Apple Store. This is where things get slightly complicated, as there are 38 different variations of the Apple Watch. Each is priced based on the materials used for the case and strap, with two sizes to choose from: 38mm and 42mm. The cheapest is the Apple Watch Sport, aimed at fitness enthusiasts, at £299. For that, you get an aluminium-cased watch with a plastic strap. The 42mm version will cost £339. The mid-range model, the standard Apple Watch, is made of stainless steel and will set you back £479. If you want to customise your watch with a fancy new strap, the price could potentially rise to £949. For the big money players, there’s the Apple Watch Edition. With an 18 carat gold case, this beauty will cost between £8,000 to £13,000! Basically, an Apple Watch isn’t going to be cheap. We’d recommend selling electronics to save up first! The big question. With so many Apple devices on the market, where does the Apple Watch fit in? At the moment, the main selling point is convenience. The Watch can receive phones calls, carry out touchless payments and generally manage your life from your wrist. Is it worth spending £300 so you don’t have to take your phone out of your pocket? Only time will tell. Apple claim that there are 1000s of apps ready for use on the Watch, so the ‘killer app’ that makes the Watch essential may not have been revealed yet. Either way, it’ll take a few months (or even years) of real-world usage by early adopters before the Watch becomes a ‘must-have’ gadget for the general public. This has been reflected in predicted sales figures for the Watch, which range from 8 million to 60 million units. Do I need an iPhone to use the Apple Watch? Yes. As expected, you’ll need an iPhone 5 or higher to use the Apple Watch. If you’re using anything older, why not sell your iPhone with musicMagpie and upgrade? Are you going to buy an Apple Watch? Let us know in the comments!